In light of the fact most reviews for this game have been negative (due mostly to developer abandonment) I had extremely low expectations for this game. I should note that I was able to purchase this game for $5 on a Steam sale. Now after playing the game for more than 10 hours I have decided this game needed a new honest perspective. Since the developers seem done improving this game, I don’t believe the game is worth more than $10 in its current state. The main reason is its age. This is a dated game with minimal features compared with today’s standards in games. If you can get at a low-cost, it’s probably worth it. If you have ever played Police Quest from the 1990’s, this game reminds me of an open world, updated version of that with some tweaks. I enjoy the old 1990’s sim style games which this game vastly improves upon. For me this game is a simpler form of Police Quest III: The Kindred without the story-line or the updated vehicle abilities. For me, Nostalgia is the biggest reason for why this game is fun to play and definitely worth my time. It is important to note this game can be tweaked (ability to change in-game costs, money, levels etc.) in the source file folder which makes this game even more fun especially if you like messing with settings. If you have a USB Xbox controller you can use it in the game with the keyboard which greatly enhances the game experience. I use a controller app since the in-game xbox controller settings are limited. Be aware that there some noticeable bugs in the game although I haven’t experienced any complete game crashes yet. Cars will get stuck at intersections causing wrecks, your personal car can lock up if you try to use the siren/lights and sometimes people will appear to respond until a correct procedural order is followed according the game requirements. In my experience this didn’t occur often but it can become frustrating trying to get someone to get out of their car or to get them to stop their car. The game doesn’t have fast travel capabilities as modern games do (unless you use the taxi off duty only). There should be other police cars, more random AI traffic and fewer people walking around. 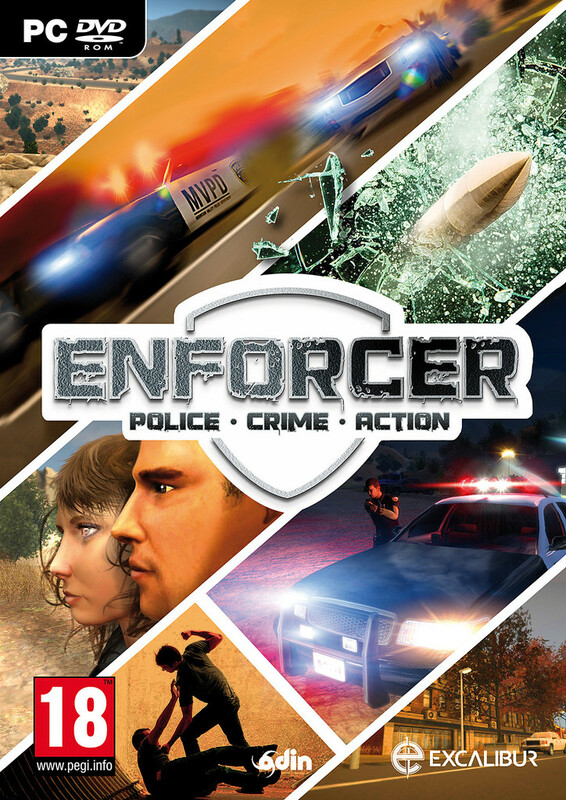 There are many more possible improvements for Enforcer but as it stands as a low-budget Indie game I have enjoyed what it offers.